After months of waiting, Major League Soccer is on its way back. CONCACAF Champions League has already begun and the United States’ domestic league returns on Mar. 3. Plenty of teams have received a complete facelift over the three-month break with coaches and players shuffling in and out. There are five teams highlighted in this article that managed to revamp their rosters for March. Keep in mind that there is a summer transfer window in which all teams can buy and sell players for the rest of the season, so these lineups certainly won’t be completely intact by the playoffs. Coming off of an exceptional first year, expansion side Atlanta United has improved its playoff roster with new additions on the pitch. The club is quickly becoming a polarizing sensation in MLS, garnering many supporters, but plenty of rivals along the way. Darlington Nagbe, the 27-year old midfielder, was dealt to the Five Stripes from the Portland Timbers for over $1 million in targeted allocation money (TAM) back in December. While he played more on the left side for Bruce Arena in the Gold Cup, he’ll likely see most of his action as a holding central midfielder. Nagbe may be tasked with less of an attacking role due to the already established prowess of Atlanta’s attack. He’s never been a pure goal-scoring winger, but his numbers should dive this season with most of his workload coming in a relatively ‘stat-less’ position. United’s biggest addition came in January with the purchase of Ezequiel Barco. Arriving from Independiente for an MLS-record $15 million, the 18-year old attacking midfielder will fill the hole left by Yamil Asad. Barco’s strength on the left flank is also a big reason why Nagbe will likely be sent to the center this season. The unexpected loss of Carlos Carmona will certainly hurt the team the most. He provided the squad with defensive stature in the middle and stopped plenty of counter-attacks during the 2017 season. Jeff Larentowicz will have to shore up the loss of their perfect CDM and Nagbe will shoulder some of the weight, as well. Despite the losses of Tyrone Mears and Anton Walkes, the fullback position will still be in good hands. Greg Garza and his flair for the sidelines will see plenty of minutes on the left side while newcomer Franco Escobar will likely start on the right. Each of the defenders are younger than their predecessors and will continue the trend of youth and speed for the Five Stripes. FC Dallas began the long-term overhaul after one of the largest collapses in modern MLS history. After winning the Supporters’ Shield in 2016, the Toros came into the 2017 season on fire. Dallas was the last team to lose in the regular season and led the Shield race in mid-May. However, a stretch spanning a full two months saw Dallas fail to win a single match as it plummeted out of the playoff picture. Its only two wins in the final three months came against the Galaxy and the Rapids, the two worst teams in the league by points. By the transfer window, much of its back line was gone and the front office took the squad in a youthful direction. There are only two remaining members in their thirties while the owners continue to attract young, homegrown talent. Despite the youth, however, two of the oldest players on the team will almost certainly be starting on opening day. Matt Hedges and Reto Ziegler should be starting in the center now that Walker Zimmerman, Atiba Harris and Hernan Grana are long gone. Reggie Cannon, the teen with only one cap last season, is looking like the starting right back. Dallas’s greatest strength is in the midfield where it sports two of its Designated Players (DPs) as well as Kellyn Acosta. 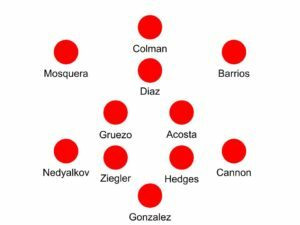 Gruezo and Acosta are likely the best pair of defensive midfielders in the league and the squad will have to operate around them. Those two will be ball-winning players in the center looking to feed Mauro Diaz in the attacking midfield role. The front will sport old talent, as well, but the top goal scoring role is up for grabs. As of now, it’s between Christian Colman and Max Urruti considering Dallas will likely run two wingers with only one target man. Roland Lamah’s age should keep him on the bench as young DP, Santiago Mosquera, arrives from Millonarios FC. Heading into this season, the biggest question mark will be about the back line. Zimmerman fell out of favor with manager Oscar Pareja and he’ll now start for LAFC out west. Dallas will need to keep the goals allowed tally below 50 again if it wants any shot at a return to the playoffs. The Montreal Impact are a bit of a conundrum. Under Mauro Biello, the team made it to a conference final in 2016 and missed the playoffs altogether in 2017. Dominated by world sensations Didier Drogba and Blerim Dzemaili, the Impact were a bang or bust squad. Former Lyon boss, Remi Garde, is now in charge and has already implemented a more Canadian style of football. More Canadian youngsters have entered the fold with nine of Garde’s 25 players from the Great White North. Consistency is key after Biello managed to lose nine of his final 10 matches while at the helm. Much like FC Dallas, the questions are all at the back. The season has yet to begin and injuries plague the center back depth with Zakaria Diallo out for at least two months and Kyle Fisher nursing an injury with no real timetable. Because of this, Chris Duvall, a true right back, may see his first action in the middle alongside the Argentine, Victor Cabrera. Thomas Meilleur-Giguere and Wandrille Lefevre, two unproven center backs returning from a loan spell with Ottawa Fury, may be asked to start in their place, as well. Jukka Raitala, though, will be the most experienced on the left side after 28 caps with Columbus last season. If those holes can be plugged while Diallo and Fisher recover, the midfield and attack can do damage in the Eastern Conference. Ignacio Piatti is a mainstay in that Impact midfield, but newly signed DP, Saphir Taider, is capable of winning balls in the center and holding up attacks. His role will likely be as more of a facilitator alongside Samuel Piette, the true defensive midfielder. The addition of Raheem Edwards provides a tricky scenario alongside Piatti. Both wingers have traditionally played on the left-hand side, but Edwards’ nature as a true winger may push Piatti into more of a ‘False Nine’ role in the center. This will also allow Dominic Oduro to continue to create chances from the right side like he did all of last season. Anthony Jackson-Hamel proved to be a dangerous ‘super sub’ in 2017, coming on in relief of Matteo Mancosu. His goal-scoring prowess surpassed Mancosu’s and even dwarfed it when it’s seen as goals-per-90. This, coupled with Mancosu’s age, could see Jackson-Hamel be the starting target man by Sunday. The Impact lost five key players from last season: midfielders Blerim Dzemaili, Ballou Tabla, Patrice Bernier and Hernan Bernardello as well as 2015 Defender of the Year, Laurent Ciman. None of these pieces are easily replaceable, but the functionality of Saphir Taider molds well into Dzemaili’s role. Ciman’s absence will be felt, especially in the early stages of the season, but the youngsters at the back have a perfect opportunity to prove their worth. After Vancouver finished one of its most successful campaigns, it lost much of its depth to the transfer window. Leading goal-scorer, Fredy Montero, is gone; leading assister, Christian Bolanos, is gone and starting left back, Jordan Harvey, is gone. Combine that with Carl Robinson’s longing to employ the 3-5-2 and the Whitecaps have plenty of uncertainties swirling around Sunday. Fredy Montero netted 13 goals, amassed six assists and was a large reason why the ‘Caps made it to the Western Conference Semifinals. Lacking a striker, the front office scooped up two additions: MLS veteran, Kei Kamara and Liga MX young talent, Anthony Blondell. The two will see action up top together and will try to fill the hole left by Montero. 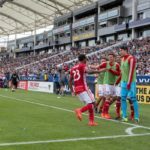 Yordy Reyna missed the first four months of last season, but finished strong as a crucial attacking midfielder for his squad. 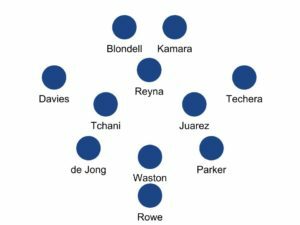 He operates as more of a shadow striker, but with the addition of Kamara and Blondell paired with the loss of Bolanos, he’ll be tasked with creating chances from the interior, something dire in the 3-5-2 formation. Young Canadian talent, Alphonso Davies, looks to solidify his place on the left wing, meaning 27-year old Brek Shea will continue to contribute his valuable minutes in late-game scenarios off of the bench. Despite being more of a goal-scoring threat than Davies, his production can’t match Davies’ pace. One of the key reasons Vancouver will push the 3-5-2 method is the acquisition of Efrain Juarez, a Mexican CDM-RB hybrid. His place inside will be only in theory as he’ll likely address any chance creation on the right wing, allowing the right center back to stay home and guard the cross. The starting goalkeeper may be the most contentious position after the trade for Brian Rowe. David Ousted started 28 of the 34 matches last season, but he was dealt to D.C. United back in January. The job is up for grabs between Rowe and Stefan Marinovic and it’s really a toss-up at this point. The Crew played much of the 2017 season with the looming thought of relocation to Austin, Texas. When owner, Anthony Precourt, began speaking of it as a legitimate possibility, fervent opposition came forward in support of the club. The play on the pitch seemed to get better, too, as Columbus stormed to the Eastern Conference Final, losing by one to eventual champions, Toronto FC. 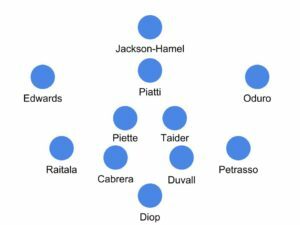 Since then, the roster in Columbus has gone through a complete shakedown, altering the starting eleven in numerous ways. Three of its top four leading goal-scorers all departed over the winter, leaving a barren front. Enter: Gyasi Zardes. The 26-year old American speedster never reached his full potential for the U.S. national team, often overshadowed by the likes of Jozy Altidore and Clint Dempsey. Jurgen Klinsmann and Bruce Arena seemed insistent on utilizing his pace as a winger, but his production stalled and all he did was age. Thus far, the preseason in Columbus has treated Zardes well. He’s resumed scoring goals, giving Columbus hope that he can translate it to the regular season and fill the hole left by Ola Kamara and Justin Meram. Of course, Zardes (probably) can’t match Kamara and Meram’s combined 31 goals, so some of the weight will have to be shouldered by attacking midfielder, Federico Higuain. Higuain dished out 14 assists last season, but his tally of nine goals won’t be enough to power a high-caliber attack. The central midfield is anchored by young American, Wil Trapp, who played all 34 regular season matches for the Crew. The unsung hero for Columbus last season, though, was Artur, a holding midfielder in on loan from Sao Paolo FC. He was secured for good and will provide a huge boost in the middle third. The wings are a completely different story, bolstering two unproven players with only 11 starts between them last season. Niko Hansen and Pedro Santos will attempt to provide relief for a team missing Meram and Kekuta Manneh, a tall task for the two internationals. Milton Valenzuela will likely get the start at left back with Jukka Raitala out of the squad. Designated Player, Jonathan Mensah, stays put in the middle, as does Josh Williams. Harrison Afful is now 31 year-old, but will still lock down the right back slot come Saturday. Columbus travels to BMO Field to face Toronto in an Eastern Conference Final rematch to kick off the season. The biggest focus will be on Zardes and the completely new attacking corps, but Marky Delgado and Jozy Altidore will surely look to exploit Valenzuela and his inexperience.